Scottish chemist and physicist who investigated and made quantitative experiments with carbon dioxide, known as "fixed air." He also identified the latent ("hidden") heat involved with a substance's change of state, realized the difference between heat and temperature, and measured specific heats. 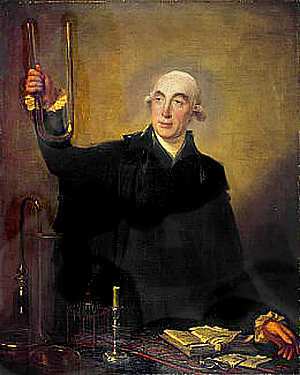 Joseph Black and items of apparatus. Chemistry is the study of the effects of heat and mixture, with a view of discovering their general and subordinate laws, and of improving the useful arts. This is an editor’s shorter restatement of the definition given by Black in the first of a series of lectures on chemistry, collected in John Robison (ed. ), Lectures on the Elements of Chemistry: Delivered in the University of Edinburgh (1807), Vol. 1, 11, footnote. For the definitions as given by Black, see elsewhere on this web page. 16 Apr - short biography, births, deaths and events on date of Black's birth. Joseph Black - Biography from Lives of Eminent and Illustrious Englishmen (1837). Defining the True Scientist - excerpt from Joseph Black, Lectures on the Elements of Chemistry.